María Isabel has lived on her farm for fifteen years. Before that, she lived in the capital, San José. It was a hard life trying to earn a living when she didn’t complete school. 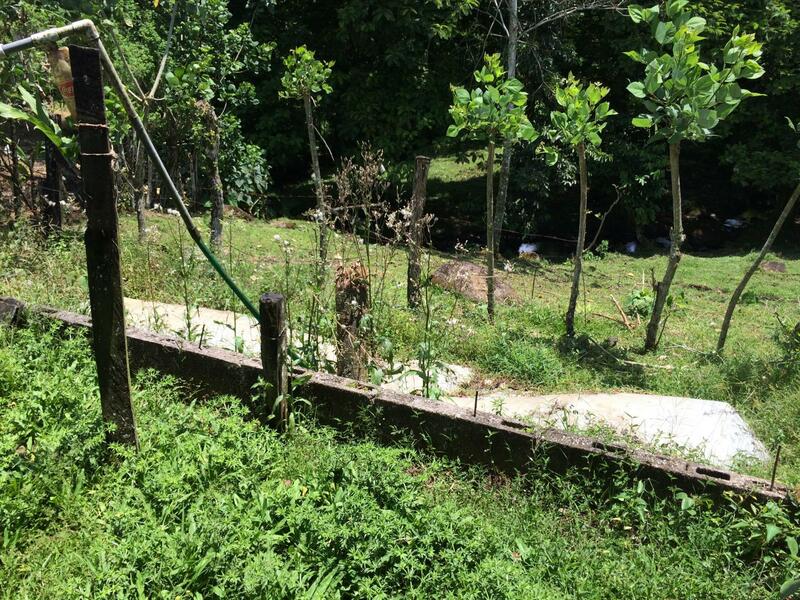 But on her farm, María Isabel has been able to thrive. 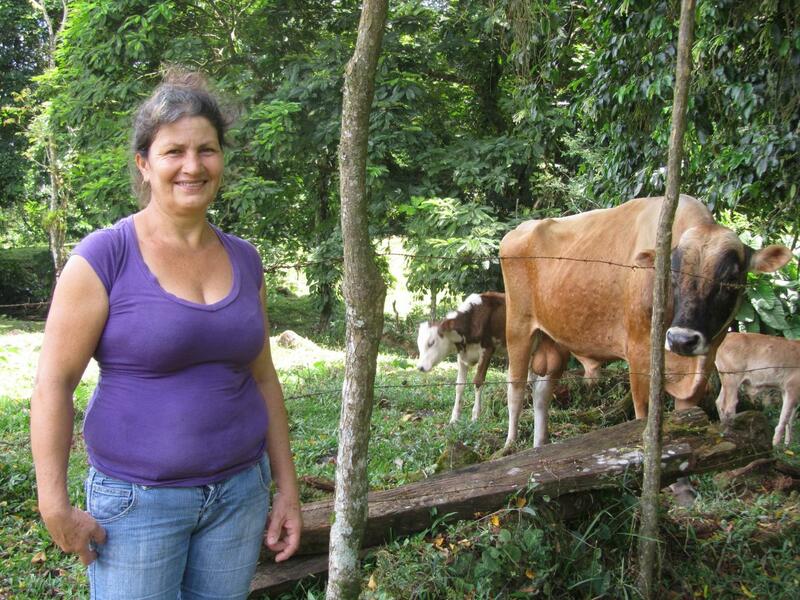 María Isabel owns nine dairy cows and milks them every day. Then, twice a day she makes cheese and sour cream. María Isabel has many clients in her community because her products are fresh and less expensive than the stores in the area. She made sure that I tried her cheese before I left her house and gave me a bag of her sour cream to take with me. María Isabel’s dream is to own a machine to milk her cows because her hands are sore and swollen from milking daily. She also earns income from raising pigs. 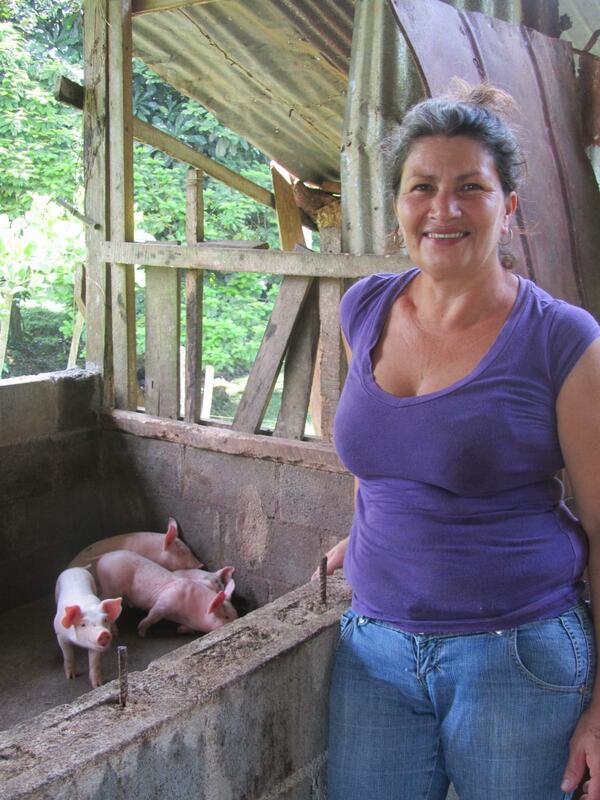 María Isabel purchases piglets and sells them once they weigh 100 kilograms. The pigs are fed colostrum from her cows and bananas. The manure from her cows and pigs is collected in a biodigestor. The biodigestor is made of plastic bags that are filled with manure and water, which is then converted into gas and inflates the bags. These bags are connected to a pipe that runs into her house and to her stove. María Isabel is able to save money and conserve energy by converting manure from her farm animals to gas for her stove. 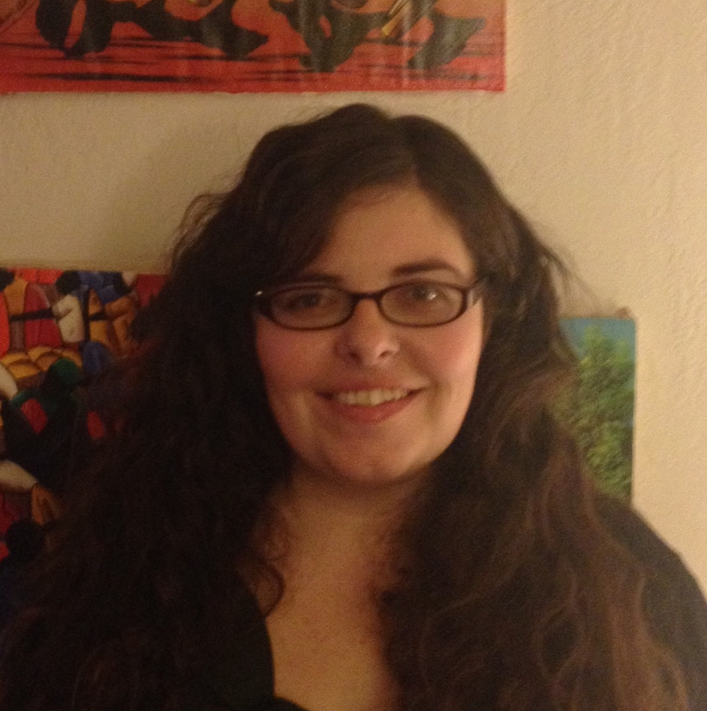 María Isabel is very innovative in looking for more ways to save money and develop her farm. 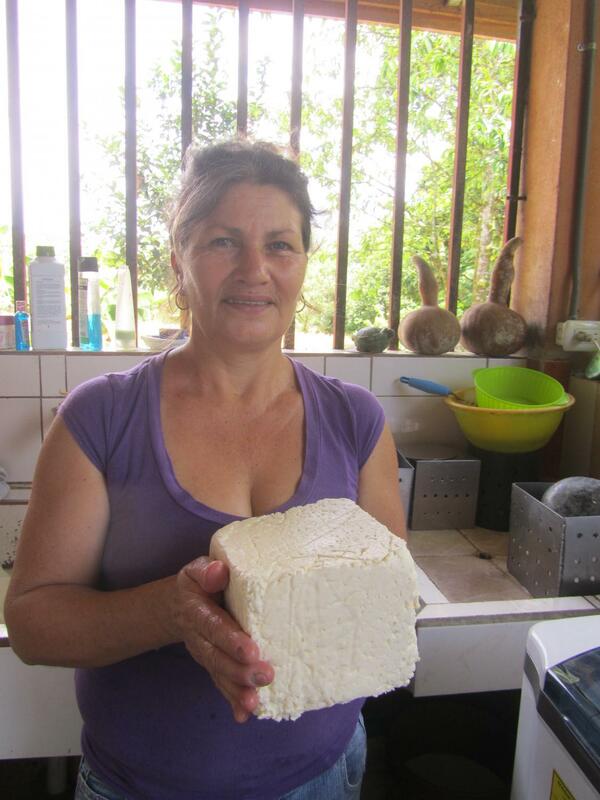 Through her Kiva loan, María Isabel intends on purchasing more cows to increase her cheese production. Then with increased profits, she will be able to save more money to purchase her milking machine.